CIA agents reportedly seeded false information in Rolling Stone and other media outlets to convince the public that Roth was toppled solely by his bandmates in a bloodless revolt. LANGLEY, VA—Shedding new light on a tumultuous period of upheaval that dominated international headlines nearly 30 years ago, the U.S. government declassified hundreds of documents Tuesday that confirm the CIA covertly organized and executed the coup that ousted lead singer David Lee Roth from Van Halen. According to a preliminary analysis, the newly released information includes more than 1,600 pages of formerly top-secret material detailing the CIA’s clandestine plot to infiltrate the platinum-selling rock group and unseat the magnetic, impulsive musician from his leadership position in the spring of 1985. The documents reveal that the agency worked behind the scenes for years, beginning after the release of the disco-inflected “Push Comes To Shove” single in 1981, to foment the internal turmoil and unrest needed to destabilize the band and ultimately force Roth to step down from the American heavy metal act. “Quite simply, our office determined that Roth was no longer fit to exercise control over Van Halen, and that his aspirations for the band were not aligned with the best interests of the American people,” he continued. 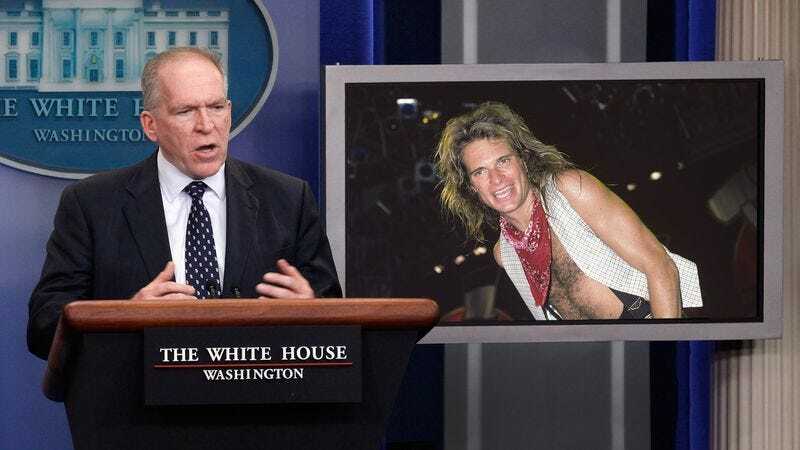 Dubbed Operation Diamond Cutter by the select top-ranking CIA administrators who orchestrated the plot, the confidential initiative reportedly sought to quietly undermine Roth’s influence within Van Halen and replace him with Sammy Hagar, a charismatic but largely inert puppet leader who agency officials were confident would be easily manipulated once installed atop the iconic rock group. The CIA confirmed that it was able to exploit preexisting strains in the band by capitalizing on internal concerns over Roth’s long-term musical ambitions following the release of his solo EP, as well as pent-up tensions that had simmered for years after the lukewarm commercial and critical reception of Van Halen’s Fair Warning album. Additionally, American intelligence operatives succeeded in enlisting Roth’s manager and utilizing the double agent to convince his client that relinquishing his position would allow him to pursue what was portrayed as a budding and potentially prosperous film career. “The last thing we wanted was to have another ‘Panama’ on our hands,” he added. As revealed by the CIA, prior to Roth’s successful ouster from the group, the agency also funneled hundreds of thousands of dollars in untraceable funds through intermediaries to bankroll the production and distribution of such incendiary works as VOA and the “I Can’t Drive 55” single in order to bolster Hagar’s profile in the eyes of the band’s supporters. Despite the prevalence of critics who question the legitimacy of the post-Roth Van Halen regime, McMahon said that he has “no regrets whatsoever” about the agency’s false flag mission. “That being said, none of us could possibly have foreseen that For Unlawful Carnal Knowledge would indirectly result from our actions,” he added, solemnly shaking his head.